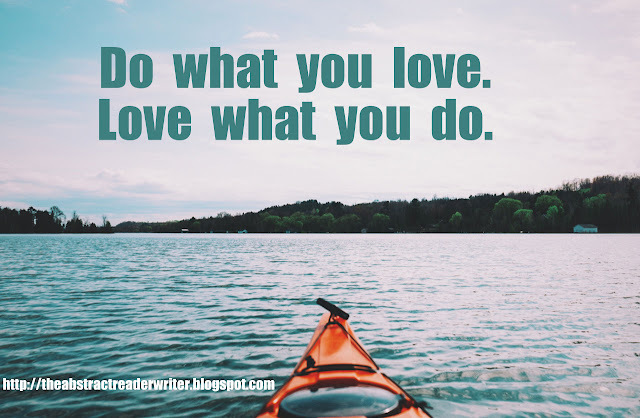 Mindscape in Words: 8 Signs You Should Invest In Your Passion. We all have those special talents which we love. We may work in the corporate environment, but these things never really leave us. We happen to do them even when we are busy. We get attached to them and do them even unknowingly. Some of them are reading, sewing, writing, cooking, gardening, jogging, playing games, solving Sudoku or literally anything that people say cannot be a career. The society has some set norms wherein these don't qualify as a career unless we excel at them and turn it into a business of some sort. Here's what I think makes us love these things more. My passion is reading and writing. So I'm going to put up this post based on those. But, these points apply to all those people who have some hidden passion. 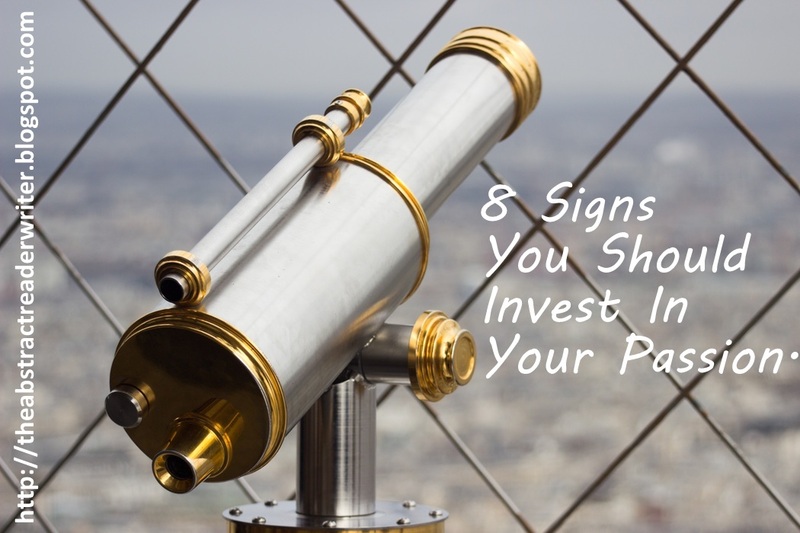 These are some of the signs you might get which will tell you that you ought to invest in your passion. Whenever you are doing that thing, you feel like your true self. There's no pretending and no fakeness about it. It gives you pure joy because it is something that you love. It's not something you're forced to do but something you choose to do. It makes you feel more alive. I feel that way when I write. Words flow out of my brain and onto the screen within seconds. It's something magical; like it's what I'm supposed to do. Does your passion makes you feel like yourself? Imagine a Saturday afternoon when you're at home while everyone is asleep. You just go to your bookshelf, grab a book and start reading. Whenever you have some free time, your first instinct is to do what your heart says. That's your passion. It not only brings out your happier side but also your true side. Have you experienced this sign any time? You're having a normal conversation with your friends and suddenly the conversation is nearing to what you love. You hope that it goes to your passion. And when it does, there's no saying how happy you are. You contribute in the conversation with all that extensive knowledge on the subject. You're just thrilled that it came up. When I was discussing movies with my friends, I hoped they'd say something about the 'Paper Towns' movie. (A book adaptation.) And I was thrilled to talk about it. It's like getting high because of the book smell. I'm sure you know this feeling? Well, this one is obvious. How can you not say anything about it when that's the thing you're born to do? That's all you talk about. At times, when no one says anything about it, you just somehow bring the on-going topic to your passion and start your non-stop talk. So I'm like, "Who is your favourite author? Or your favourite book? What do you mean you don't like to read? Are you normal?" So, that's me. And I'm sure you do it too. How is it possible to not say a thing about your passion? It's something that you can rant over for hours. If no one says anything about it for a long time, you get discomfited. And if that person hates that thing, then you can ensure you'll probably never like them. But, that urge to talk about it and that desperation are real things. Have you been through this sign? Once you have a passion, it's safe to assume that you know every detail about it. If it's something like an interest in baking, then you know all the aspects of it. You know its various kinds and everything in depth. And after a serious time doing it, you wonder how you know so much. But, it's what happens after all. This one's a given. You obviously love it and are also obsessed with it. You can go days doing it. Time flies faster and you are merrier. People come and go but you and your passion remain constant in your life. It's the best thing about you. And people introduce you with it. Soon, you'll be known by your passion. So, if you have felt these signs, just go for it. This is me and my blog, especially #5, no one wants to talk about blogging except people who blog! These are great. It's so hard to do though! So by this list, I guess my passion is Netflix binging. Hence: my investment in spending more time on the couch with wine, chocolate, and Gossip Girl. This is the way I feel about writing! Every single free moment is spent writing. Even if it's just in my journal or planner lol. It's why I have a blog now. I just can't stop writing! Investing in my blog with more time that I have dedicated to most things.. And I am earning rewards already.. Every small win counts! This so fits with how I am feeling now! Thanks for the inspiration! YES to all of these things! "Do what you love, love what you do" is such a perfect quote. This is blogging for me! I love this post! But it makes me think I have way too many passions. :) Love the quote at the end!